Last night, I was thinking about something Beth Moore said. I want to look closely at the content of what Beth Moore said in this example I will show you. I am personally offended by it and I’m spiritually grieved by it. Let’s examine each part of what she said through a biblical lens. 1. Her ‘oh, no’, scare tactic, try-harder faith is on display here. 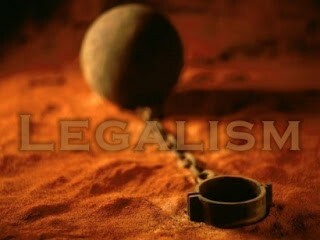 This is Legalism, also exemplified here. Example; “We could live our whole believing lives through, and never make it to our promised land.” Really? We can lose our salvation and not make it to heaven? That’s not what the bible says. (John 3:16, Romans 8:38-39, John 10:28-29). Perhaps she was talking about unbelievers, one may protest. No, she said “believing lives.” Another may protest that perhaps she meant believers may not make it to our promised land here on earth. But this is not what the Bible teaches, either. The Bible says we are not promised ease on earth. (John 16:33; Acts 14:22). As a matter of fact this earth isn’t even our home. We should not consider earth our promised land whatsoever. 2. She degrades the holy relationship with an almighty God and promotes an earth-centric focus. Example: “We get to heaven and we might say something like this to GOD: “You were not faithful to me! You didn’t do what you said you were gonna do!” Really? When we get to heaven we are going to still be greedy for the things on earth? No. (Matthew 6:20-21). When we get to heaven we are going to argue with God? Not hardly. We will be so overcome by His glory we will fall down. (Revelation 4:10, Isaiah 6:5, Revelation 1:17). 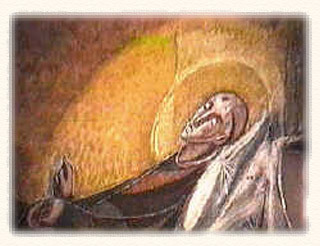 Even Daniel when confronted with an angel from heaven, he fell down. (Daniel 10:8). But Mrs Moore teaches that when we get to heaven we’re going to cry for the things of earth and make a charge against God for their lack. This is ludicrous. In my opinion, it is blasphemous. In actuality, Zephaniah tells the people, “Be silent before the Lord GOD! For the day of the LORD is near; the LORD has prepared a sacrifice and consecrated his guests.” (Zephaniah 1:7). And the LORD tells Zephaniah to say it again, “Be still before the LORD, all mankind, because he has roused himself from his holy dwelling.”‘ (Zephaniah 2:13). “Her prophets have smeared whitewash for them, seeing false visions and divining lies for them, saying, ‘Thus says the Lord GOD,’ when the LORD has not spoken.” (Ezekiel 22:28). So the Bride is the Church. The Church is the body of believers. So what Moore is saying is that the global church is in a state of paralyzing unbelief. She says God told her that the church doesn’t believe. This is impossible. If you believe, you’re a member of Christ’s church. If you do not believe, you aren’t. She speaks a self-refuting idea. Also, about being “paralyzed”. If we take her statement to be true, then what she is saying is that the global body of believers on earth, the Bride, is not operating in the Holy Spirit. If the Spirit dwells in every true believer, (and He does) and every believer is frozen and paralyzed, (what she says) then this means the Spirit is not operating, or can’t. She is saying God said the Spirit is paralyzed, frozen, and inoperable. Can this be so? No. (2 Corinthians 4:6-7). Worse, she is saying Jesus told her this. Worst of all, she said Jesus told her to teach it. 5. Extra-biblical revelation is not to be trusted. I’ve focused on Moore’s claims of personal revelation before, here and here. 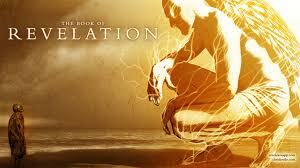 What does the bible say about forthcoming revelation of God? (Hint: It ain’t happening). Did you catch that? Just as he announced (past tense). God announced to His prophets what He was going to do. (Amos 3:7). That announcement is contained in the bible. He has been working and will continue to do work. God’s work on earth will not be finished until the last trumpet, as Revelation shows us, but His announcement of it was. The revelation of His work on earth is concluded. Yet Beth Moore is making additional proclamations from God. Either God is lying, or Moore is. (Hint: Jesus IS the Truth, and the truth is in Him; John 14:6, Ephesians 4:21). Friends, the canon is closed and the announcement of what God plans to do was already proclaimed. Gill’s Exposition on Revelation 10:7 says: “As He said to Isaiah 60:3, &c. and Isaiah 66:8; and to Daniel, in Daniel 2:44 Daniel 7:25; and to Zechariah, in Zechariah 14:9, and others;” Beth Moore’s name is not on that list. For those who want to cling to Beth Moore as a teacher and defend her, saying perhaps that she didn’t mean what she said: I’m sorry. The bible says that teachers are held to a higher standard. (James 3:1). In order to even BE a teacher one must be mature, self-controlled, vigilant and possess a host of other qualifications that qualify a deacon/teacher/overseer. This is so they will teach rightly and they can spot a false doctrine in the first place- one aspect of protecting and feeding the flock. (Acts 20:28, John 21:17). Teachers are supposed to teach rightly. (2 Timothy 2:15). Teachers rightly dividing the word for their pupils are raising up pupils who can then turn to the scriptures to see if these things are so. (Acts 17:11). This makes the student stronger. How can a student of Beth Moore examine the scriptures to see if these things are so, if they came from her head, or a vision, and not the bible? They can’t. And so in this way, she actually raises up people who do not rely on the word, and are weaker. The word is all-sufficient. (2 Timothy 3:15-17). That’s why we rely on it! We don’t judge a teacher as false by one thing they said, once. 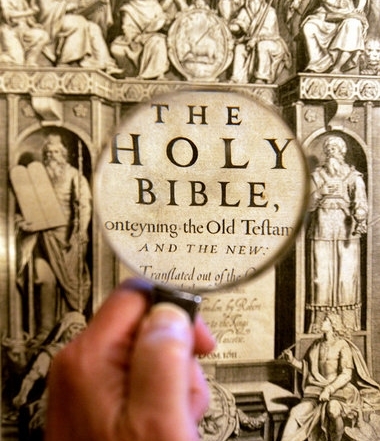 We give the benefit of the doubt, and watch carefully for a long time, comparing their words and teachings to scripture. One misstep does not make a false teacher, perhaps, but a long pattern of variance with the bible, does. Mrs Moore has passed the time of benefit of doubt and has proven over long years that her words, doctrines and actions are not to be trusted. I am not the only person who has compared what she says and does to the sterling Word and found that she is not to be recommended. The Christian Apologetics and Research Ministry has found the same, and so has Rev. Mike Abendroth of Bethlehem Bible Church, and Rev. Jim Murphy of First Baptist Church at Johnson City, NY, and Shai Linne, and Pastor Tim Challies, and so on. In this post, I’ve striven to not only open your eyes to the poor theology and confusing doctrines of Beth Moore, but I’ve also striven to show you how to parse these things for yourself. To stop and really think about what a teacher is saying, phrase by phrase, and to compare it carefully to the bible. The Bereans sought the scriptures to see if these things were so, and that bespeaks of having a constant stance of asking ‘are these things so?’ If they believed Paul on his face they would not have sought the scriptures, would they? Constantly testing all things, all spirits, is what we are called to do. (1 John 4:1). And don’t stop there. If you have found things that are NOT so, don’t keep it to yourself. The church at Thyatira tried to do that, (Revelation 2:20) and were charged by Jesus for it. Speak up. Be brave. And what is that external authority? The One True God as revealed in the Holy Bible. 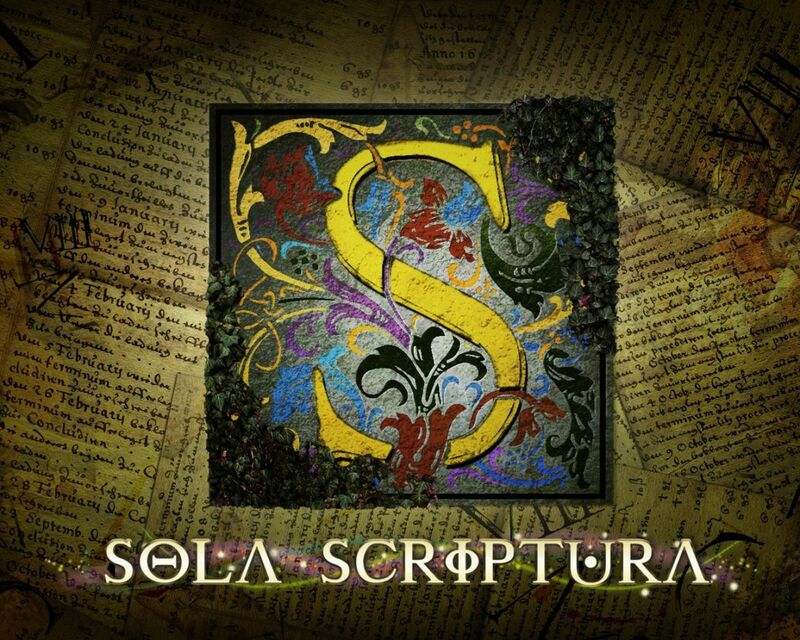 Sola Scriptura!